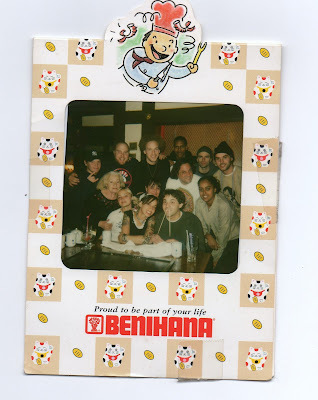 HUCKFINK: "dude, i'll take u out to benihanas "
"dude, i'll take u out to benihanas "
many years ago, i had a very interesting birthday dinner. I spy an ex dead end pro. This is a rad photo. Nice walrus teeth.